Family photographs are beautiful imprints of moments in time that should be cherished and enjoyed both immediately and for years to come, as your family grows and changes. Your photos are a little slice of reality as it once was, a nostalgic trip down memory lane, and a reminder of great times shared together. 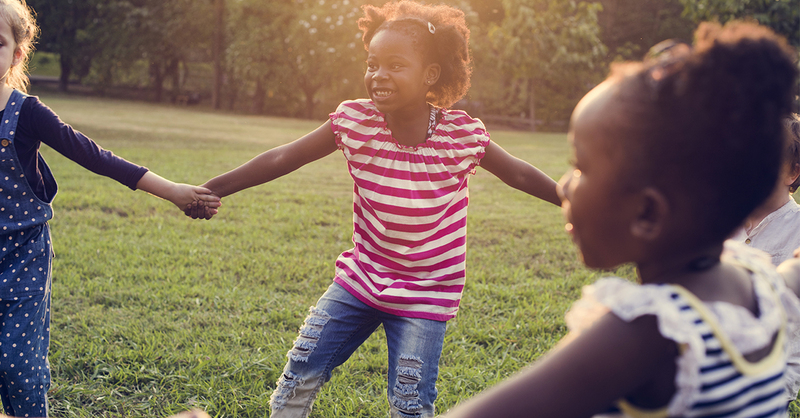 In our digital age, it’s easier than ever to take photos and document your moments, whether it’s daily life or special occasions. The problem is that these captured memories are left in the digital space, and not enjoyed often enough. Displaying family photographs in your home makes it, cosy, happy and uniquely yours. With so many ways to do this, how do you start? One of the best ways to narrow down your choices is to assess what you have available to you, in terms of skills, time, space and money. If, like most of us, money is a little tight, it is worth looking to see what you already have lying around, and how you can artfully transform it into an enviable photo display. Some items that could prove useful are: lots of empty, mismatched frames, an old ladder, an old window frame, an unused bookshelf or a collection of clear glass bottles. 1. 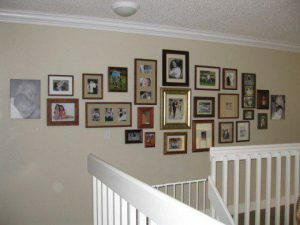 A Photo Wall with Different Frames, Grouped Together. Do you have lots of different frames lying around? Get them ready and choose a mix of lovely photos. You can mix and match colourful frames and pictures with black and white ones, or stick to one type for a specific look. 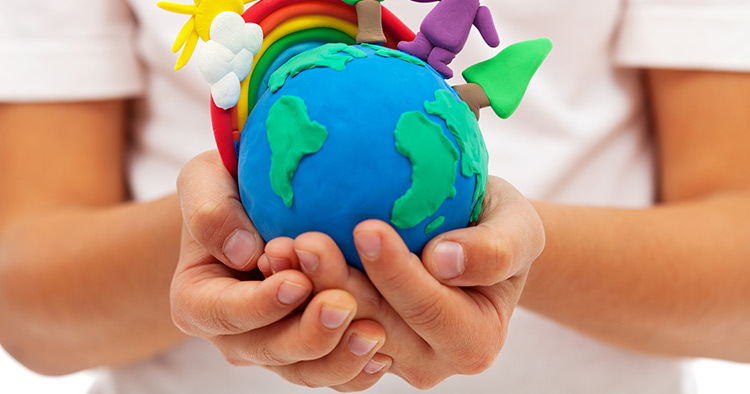 Choose an overall shape for the entire display, such as rectangle, diamond, or even a heart. Visit Den Garden for a detailed tutorial. 2. Create Interest with a Window Frame! These two old window frames create a lovely feature for a selection of family memories and moments. 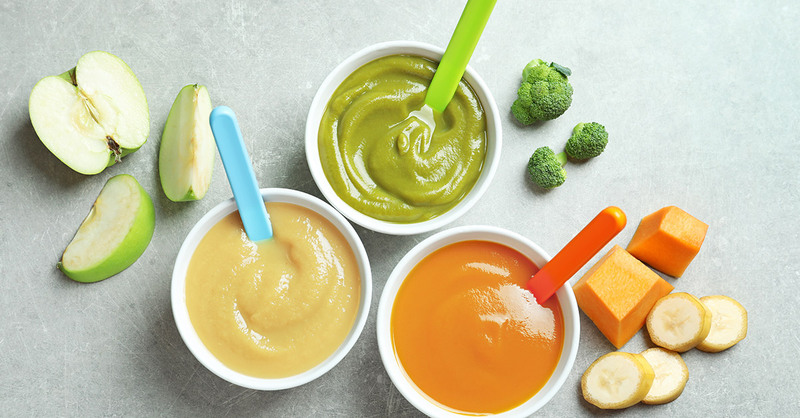 Learn more about the steps taken to create this look. 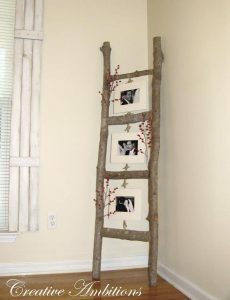 Use an old ladder, or even make one from branches like this one below, to frame lovely family pictures. This is especially useful if you have a corner space or a fairly narrow vertical space that needs some interest added to it. 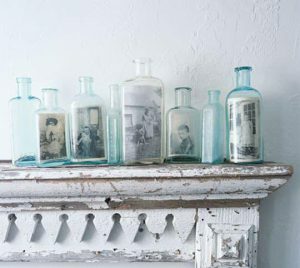 If you already have clear glass bottles lying around, or are eager to start collecting, using them to display photographs is an inexpensive and interesting way to show off your photos. If, like in this example, you want to display older family heirloom photos, you might want to make copies and keep the originals in a safe place where they will not age or fade too fast. You might have a large frame with no glass lying around, or even a bit of wood to make one. 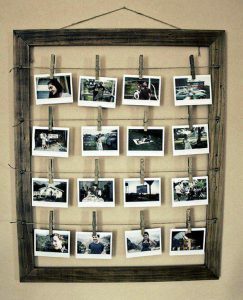 By stringing wire or twine across the frame, you can ‘hang’ pictures with pegs for a fabulous, impromptu-style photo display. With this option, it’s easy to change photos whenever you like to keep it up to date and fresh! 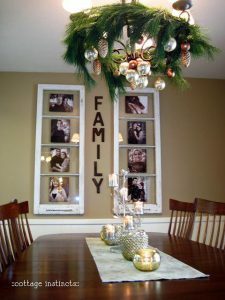 Are you a clever crafter who has created a fabulous family photo display? Please send us your pictures and let us know how you did it!